When fed OSHA promulgated the Final Rule to “Improve Tracking of Workplace Injuries and Illnesses” (aka the E-Recordkeeping Rule) in 2016, it built into the Rule a mandate that all State Plans adopt substantially identical requirements to the final E-Recordkeeping Rule within six months after its publication. However, because State Plans all have their own legislative or rulemaking processes, they cannot simply snap their fingers and instantly adopt a new Rule even if required to do so by fed OSHA. Also importantly, the State Plans, as well as all employers in the regulated community, were getting mixed signals about the future of the E-Recordkeeping Rule from fed OSHA under the new Trump Administration. Given the uncertainty of the fate of the E-Recordkeeping Rule after the transition to the Trump Administration and OSHA’s announcement that it would soon issue a Notice of Proposed Rulemaking to revisit the E-Recordkeeping Rule, each of these State Plans except for Vermont OSHA continued to delay adopting the Rule even as we approached the second data submission deadline of July 2018. And that is when fed OSHA started to speak up. Slips, trips and falls are among the leading causes of work-related injuries and fatalities in the U.S., and continue to pose problems for all employers. In November 2016, OSHA published its updated Walking / Working Surfaces (WWS) Standard, the regulation that governs slips, trips and fall hazards in general industry, after decades of attempts to amend the Rule. The Final Rule was intended to modernize and harmonize OSHA’s various regulations focused on fall hazards, based on advances in fall protection technologies and methods, and lessons learned over the decades. Now, just over a year since the new WWS Rule has gone into effect, many questions remain for employers with respect to modifying workplace practices and physical installations, especially those related to fall protection, fixed ladders, and scaffolding. The July 1, 2018 deadline for large employers (250+ employees at a single work site) and smaller employers (20-249 employees) in certain so-called “high hazard industries” to submit injury and illness data to OSHA is less than a week away. We have been tracking closely the Trump Administration’s treatment of OSHA’s new E-Recordkeeping and Anti-Retaliation Rule, and while there have been plenty of signals that this rule is due for an overhaul, it appears that this deadline for the second data submission under the rule is going to stand. Therefore, if employers have not already done so, they should immediately evaluate whether the rule applies to any or all of their workplaces, get familiar with and set up an account in OSHA’s Injury Tracking Application (the portal that will receive the injury data), and submit covered injury data (i.e., their 2017 OSHA 300A Annual Summary data) by this Sunday. 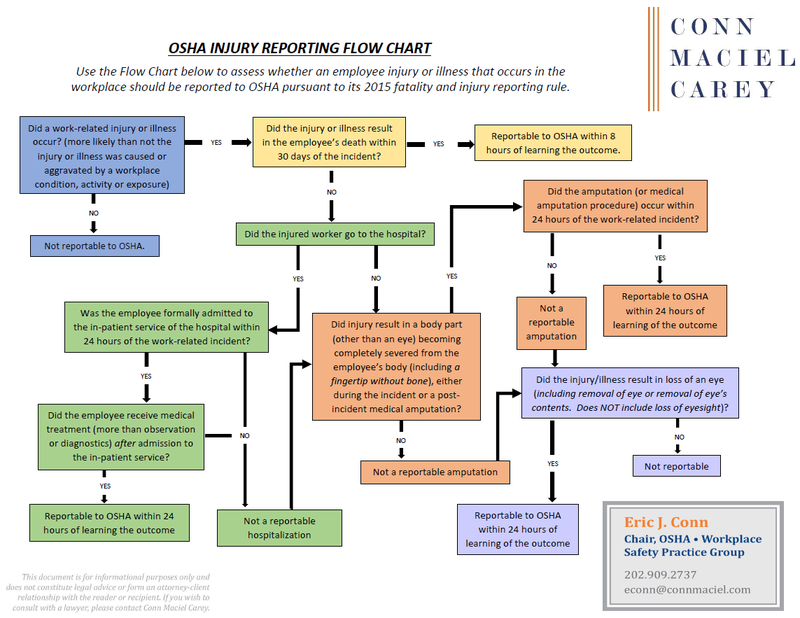 “Mandatory submission of injury and illness data to OSHA through a dedicated Web-based portal should, in theory, make the process quick and easy. However, a recent spate of real and proposed changes to the agency’s E-Recordkeeping Rule has left many employers wondering if they are required to submit injury and illness data for certain establishments, by when they must do it, and what the consequences are of not submitting the data. As of January 2, 2018, civil penalties for workplace safety and health violations issued by federal OSHA increased again by 2% across the board. 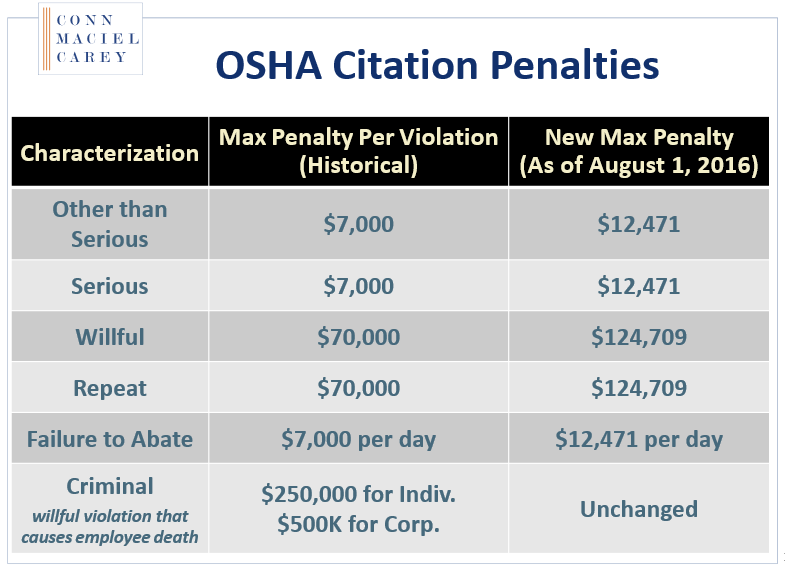 Although a 2% increase does not shock the system, this increase is part of a program that has resulted in OSHA’s civil penalty authority nearly doubling since 2016. As I sit here this afternoon wondering if the government will shut down over disputes about immigration and healthcare, I am reminded of a time just a couple of years ago, in late 2015, when we were again on the verge of a government shutdown over abortion rights and deficit spending. That shutdown was averted thanks to a backroom deal between outgoing Speaker of the House John Boehner and President Obama, which ultimately took the form of the Bipartisan Budget Act of 2015. That “kick the can down the road” measure included a controversial statute that was essentially unknown (including by the folks within OSHA) and saw exactly zero seconds of debate on the floor. It was called the “Federal Civil Penalties Inflation Adjustment Improvements Act,” and it mandated that executive agencies increase their maximum civil penalty authority by the percent increase to the Consumer Price Index since the last time the agencies had raised their penalties. On September 12, 2017, Eric J. Conn and Dan C. Deacon of Conn Maciel Carey’s national OSHA Practice presented a webinar regarding the Latest on OSHA’s Electronic Recordkeeping and Anti-Retaliation Rule. OSHA’s controversial Electronic Injury and Illness Recordkeeping data submission rule, along with new Anti-Retaliation elements, has thus far survived a barrage of negative stakeholder comments during the rulemaking, multiple enforcement deferrals and delays of effective dates, and legal challenges complete with preliminary injunction motions. 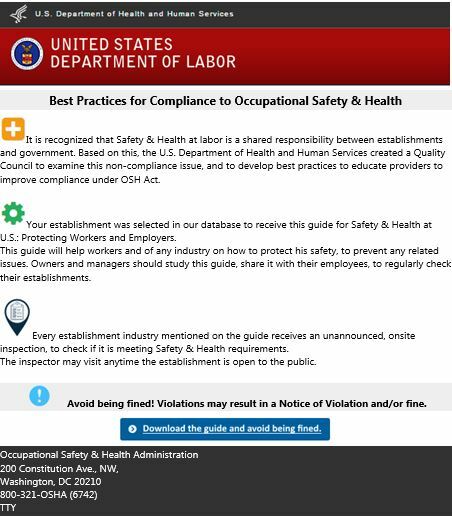 As of today, all elements of the rule are still in effect, including limits on post-injury drug testing and safety incentive programs, and barring a change before December 1, 2017, hundreds of thousands of workplaces will, for the first time, submit injury and illness recordkeeping data to OSHA, possibly for publishing online. In the final year of the Obama Administration, OSHA published a controversial amendment to its Injury and Illness Recordkeeping Rule known as the “Improve Tracking of Workplace Injuries and Illnesses” Rule. As published last year, the new Final Rule significantly changed employers’ obligations under OSHA’s recordkeeping scheme. Among other hotly contested provisions, the new rule would require employers, beginning July 1, 2017, to proactively submit their employee injury and illness recordkeeping data to OSHA, so that OSHA could publish the data for all the world to see. In a dramatic, but not unexpected, move last week, OSHA suspended this controversial data submission requirement with no word on when – or whether – a new deadline would be set for the data submission. Telltale signs that the new Administration was rethinking the data collection requirement, and especially the plan to publish data, were clear well before last week. OSHA stated at the time the rule was published in May 2016 that it would develop a secure portal into which employers would submit the data, and that the portal would be live by February 2017, well in advance of the July 1st data submission deadline. We understand the development of the database was completed, and learned that OSHA beta-tested the portal with the help of a few major national employers and employer organizations. Employers should be cautious of an email that has been circulating to numerous employers around the country that appears on its face to be a request from OSHA to download a guidance document about “Safety & Health at U.S.: Protecting Workers and Employers” in order to avoid being fined. The email, which is not sent from a Department of Labor (“DOL”) email address, contains a newsletter clipping that has both the DOL and the Department of Health and Human Services (“DHHS”) logos at the top. It claims that the recipient employers have been selected in a database to receive this guidance document, and that they will receive “an unannounced, onsite inspection” to investigate whether they are meeting Safety & Health Requirements. OSHA has confirmed that this email was not sent by the Agency. Employers should NOT click on any of the links in the email, should immediately delete it, and should run a virus scan. It is believed to be a phishing scam similar to ones that have plagued employers in the past. OSHA states that it will investigate and potentially refer the matter to the Department of Justice for a criminal investigation. Workplace violence has become a serious issue for employers throughout the United States. In the wake of the recent mass shootings that occurred in San Bernardino, CA and Hesston, KA, both of which occurred at least in part at an employer’s workplace, it is important for employers to be aware of the potential for violence in the workplace and ways in which it can be prevented. Although these two incidents may not have been foreseeable or preventable, these incidents will nevertheless bring more attention to this issue, including by litigants and regulators. Violence by a known third party. Depending on the facts of each incident, an employer may be faced with a lawsuit and/or a regulatory investigation and enforcement action. In Virginia, the law generally shields employers from liability for physical harm caused to employees or customers by the violent acts of co-employees or third parties. However, even if an employer evades civil liability, employers may still be subject to an investigation by the Virginia Department of Labor and Industry, and incur significant civil penalties. Comments about the draft Guidelines are due by February 15, 2016, and OSHA has stated its intention to hold a public meeting in March 2016 to receive further comment on the guidelines. OSHA’s projected final release date for the revised Guidelines is sometime in the Spring or Summer of 2016, before the end of President Obama’s second term. Dr. David Michaels, the Assistant Secretary of Labor for OSHA, an epidemiologist by training, is a big believer in the value of data. From our experience, he loves to analyze quantitative data and set policy based on this analysis. A primary reason for the resurrection and revision of the H&S Management Guidelines, we suspect, is the strong correlation Dr. Michaels has found between the application of sound safety and health management practices and lower rates of incidents of occupational injuries and illnesses.